This recording was organized and sponsored by the esteemed musician and scholar Liang Tsai-ping. He had spent much of his life performing and researching the classics of traditional Chinese music. Here, he brought to a studio an ensemble of musicians specializing in a rather uncommon traditional originally from the port city of Amoy (now called Xiamen) in the province of Fukien (now spelled Fujian), southeast China. This performance was recorded in 1969 in Taiwan. The repertoire is known as Nan-kuan (Nanguan in pinyin) (southern pipes), said to be a direct offshoot of Tang (618-907 AD) Dynasty court music. Traditionally, this included pieces for both indoor (wen) and outdoor (wu) ensembles. This recording consists entirely of indoor pieces. While many of the pieces of the Nanguan repertoire can be found elsewhere in Chinese music, this southern style was considered rather faithful to tradition. Fujian was far from the cultural centers of China, yet this style of Nanguan is a source of great pride to Fujianese. 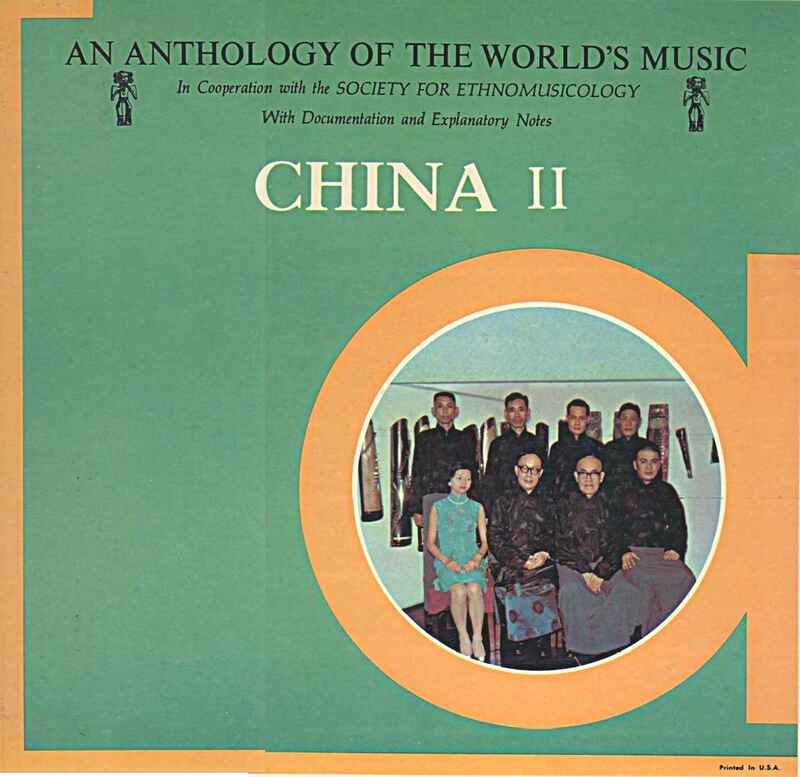 This recording was issued on the now-defunct Anthology label in an arrangement with the Society for Ethnomusicology. The series was noted for its generous notes and excellent recordings. This is no exception; the notes by Prof. Fredric Lieberman include traditional Chinese transcriptions and a full staff notation of "Mei Hua Tsao." The notes are available here laid out ready to print for a CD booklet. Make sure to Save rather than Open to preserve the layout. A grateful "xie xie" goes to Liang Mingyue, son of Liang Tsai-ping, for permission to make this music available. For recommendations, comments or questions, email me.